While Microsoft originally chose to include the Kinect with the Xbox One, Sony’s PlayStation Camera has always been sold separately. This was great for keeping the price down at launch, but years later, is the PS Camera an essential accessory or a silly toy? Let’s take a look at what you can do with one. 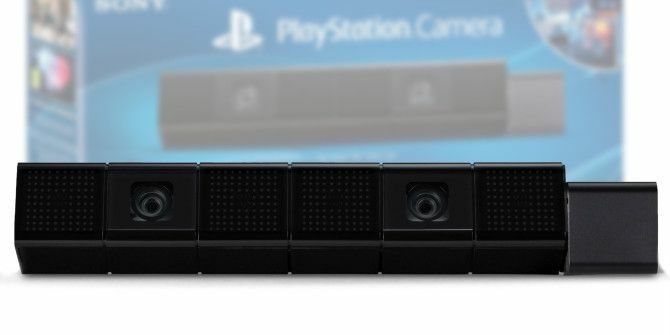 The PlayStation Camera for PS4 comprises a small black unit that should fit nicely into most people’s set-ups. It can be placed either on a TV stand or on the TV itself using the PlayStation Clip (available separately). It’s a decent camera, with a resolution of 1280 pixels by 800 pixels and a max frame rate of 240 FPS. Note that Sony released a slightly updated model of the PS Camera in September 2016. 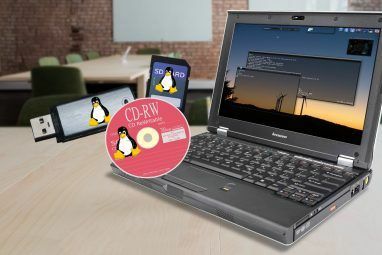 The new version has the same internals, but is cylindrical instead of rectangular, and includes a small stand for adjusting the angle. The PS Camera has several functions. The simplest is a traditional camera for filming you in your living room or recording audio. It also functions as a Kinect-style device for motion-controlled games, used in conjunction with the light bar on the back of the controller. Further, the Camera lets you command your PS4 with voice and motion controls, with functions such as launching a game or returning to the home screen. Finally, it also offers a secure way of locally logging into the system using facial recognition. But what other perks do you get by owning a PlayStation Camera for PS4? While obviously not available at the system’s launch, PlayStation VR is the biggest reason you’d want a PS Camera now if you don’t already have one. It provides the least expensive way to dip your toe into true VR, Virtual Reality Still Has 5 Big Problems to Overcome Virtual Reality Still Has 5 Big Problems to Overcome Despite all of the hype surrounding the recent surge in virtual reality products, there are many challenges that still need to be addressed before VR goes mainstream. Read More as it doesn’t require a beefy PC like the Oculus Rift or HTC Vive. Aside from the headset itself, PS VR requires two of the older PlayStation Move controllers and the PS Camera. The VR headset launched in October 2017 for $400, or a $500 bundle that includes the Camera, two Move controllers, and a demo disc. Currently, the PS Camera is available on Amazon for $47 and Move controllers cost $32 each, so this bundle saves you a bit of cash with the demo games as a bonus. For all you need to know about PS VR, check out our comprehensive review PlayStation VR Review PlayStation VR Review Sony has finally released their low-cost headset to the world, along with a slew of Playstation games that support the device. Is it worth it? Read More and comparison of VR platforms Oculus Rift vs. HTC Vive vs. Playstation VR: Which Should You Buy? Oculus Rift vs. HTC Vive vs. Playstation VR: Which Should You Buy? Virtual reality is right around the corner and there are three systems to choose from. Here's what you need to know to make an informed, smart decision. Read More . The Playroom is a free application that comes pre-installed on to all PS4 consoles, but requires the Camera to actually play. If you don’t have the PS Camera, opening this game just plays a trailer. Playroom contains a collection of mini-games designed to show off the both capabilities of the PlayStation Camera and DualShock 4 controller, offering some simple fun. There’s a flying robot called Asobi, a collection of little critters called the AR Bots, and a motion-controlled Pong clone. These offer occasional entertainment and are worth a look, but you probably won’t spend much time here after the initial fun wears off. Since launch, developers have released four free DLC packs for The Playroom. Even if you don’t want to jump on board with PS VR yet, there are a handful of games that have special features for the PS Camera by itself. You can view a full list on Wikipedia; highlights include Alien: Isolation, all Just Dance games since 2014, LittleBigPlanet 3, Surgeon Simulator, and Tearaway Unfolded. Of course, none of these games require the camera, and unless you love motion controls you probably won’t get much additional enjoyment from it. If you like party games, it might be worth the price of admission for an evening with friends messing around on Just Dance, though. The PS4 makes it easy to stream video of yourself sitting in front of your TV using Twitch or YouTube. Players can also watch others broadcast their play using the Live from PlayStation application. You don’t need a PlayStation Camera to broadcast gameplay, but if you want to record yourself as you play, you’ll need the Camera. If you’re serious about upping your Twitch streams, this is a must. 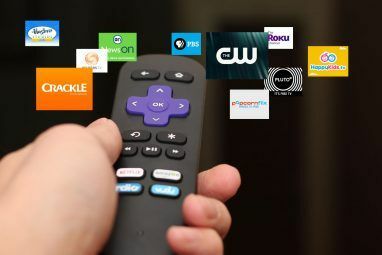 For more, check out the best tools Run a Better Twitch Stream With These Tools Run a Better Twitch Stream With These Tools Twitch channels rarely grow popular by accident. Far more often, fame and attention are the result of long hours, innovative ideas, and tireless dedication to making quality content. Read More and advice on which games to play Can't Get Viewers on Twitch? You're Playing the Wrong Games Can't Get Viewers on Twitch? You're Playing the Wrong Games Trying to build an audience on Twitch feels like hosting a party that you forgot to send out invitations for. If you want to boost your traffic, consider these questions when you pick a game. Read More to grow your Twitch fanbase. So, Is the Camera Worth It? In the original version of this article, we were optimistic about the Camera’s future potential. Three years later, it’s safe to say the PS Camera is far from an essential accessory A Gift Guide for the Ultimate PlayStation 4 Fan A Gift Guide for the Ultimate PlayStation 4 Fan Shopping for a PS4 owner this Christmas, but stuck for ideas? Our PlayStation 4 gift guide will help you buy the perfect present. Read More , unless you’re using PlayStation VR. If you’re picking up the VR headset, make sure you either get the bundle or a Camera separately, because you must have it. For everyone else, it’s tough to recommend you pick one up. The Playroom is a minor distraction that you probably won’t spend much time with, and the games with Camera integration are both slim and underwhelming. Having the system log you in automatically by facial recognition is neat, but if you’re the only user on your PS4 it’s a moot point. 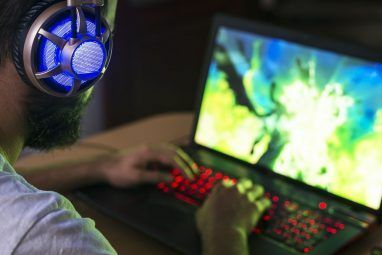 Motion control on the menus isn’t worth the price of admission, and you can add voice control by using a headset The 4 Best Budget Gaming Headsets for Under $25 The 4 Best Budget Gaming Headsets for Under $25 Here are the best gaming headsets for when you have a limited budget and just can't afford to spend that much. Read More , which is a far better investment at half the price. So, unless you’re buying it for VR, we only recommend the PlayStation Camera if you regularly stream your gameplay. The PS4 already makes streaming a simple affair, and adding a Camera so your viewers can watch your face is also easy. Otherwise, the~$45 investment doesn’t buy you enough to justify the cost. If you’re upgrading your PS4 for VR, check out how to transfer your save data to a new PS4. And if you’re interested in older games, check out this list of PS1 games that are still worth playing The 20 Best PS1 Games Actually Still Worth Playing The 20 Best PS1 Games Actually Still Worth Playing The PS1 played host to some of the greatest video games of all time, so here are the best PS1 games still worth playing today. Read More . Do you own a PS4 camera? Did you buy one for PS VR, or do you have another favorite feature of the accessory? Let us know if you’re planning on buying one down in the comments! Explore more about: PlayStation, PlayStation 4, PlayStation VR. Probably a stupid question, but I'm an old man now: grew up playing Atari and NES games, so it's hard to keep up with you kids as technologically while I'm waddling behind you with a walker as fast as I can. Anyway, my question is will the v2.0 Camera work with the original PS4 VR 1 system and processor? I've been wanting to check out Sony's VR for a while, and I recently sold a few short stories and came into a bit of money...unfortunately writing doesn't pay that well so I couldn't just slap a grand down to get a bundle. Instead I had to order the older system used through e-bay, and the last piece I bought was the camera. I was about to order the V1 version, but I read a comment stating that you had to have at least the V2 when using it for VR. And it was late at night and I'd been at trying to stretch my meager commission far enough to get everything I needed for several hours, so, like an idiot, I didn't bother confirming it...then, while waiting for my packages to arrive, the obvious suddenly dawned on me, that the two may have a compatibility problem. If anyone knows one way or the other, I'd appreciate the info. Cheers all. The main potential i see, is the Morpheus. The one real reason im getting the camera is because it is needed for tracking your heads position while using project morpheus. For some reason the camera isn't something I find worth getting. I want to get all the cool stuff for my PS4 that I can, but I feel that the camera would be too limited in use. Had it come packaged in with the console, I may have played around with it, but likely not used it a whole lot. Hopefully, new games will find creative ways to use the camera and make it worthwhile. But for now, personally, I'd rather wait or get another controller for the money. I like what you said about it having potential. That's really how I feel about the PS4 overall right now. On the other hand if you like the idea of console motion tracking for games and navigation but don't have a console yet I think the new Xbox One have way better integration with the Kinect.